The company's board of directors had approved Rs 25,000-crore rights issue on March 20. The company's shareholders would be able to buy 87 shares for every 38 held for an issue price of Rs 12.50 a share. The rights issue opens on April 10, 2019, and closes on April 24, 2019. The telecom services provider had fixed April 2, 2019, as the record date for the purpose of determining the shareholders who will be eligible to apply for the rights issue. 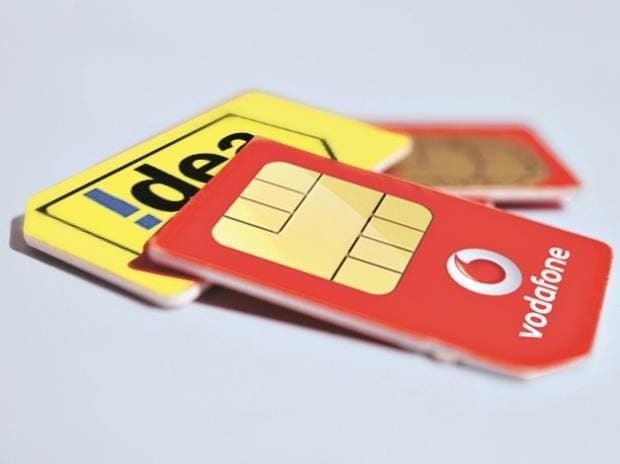 In the past three weeks, Vodafone Idea has dipped 20 per cent after India Ratings and Research (Ind-Ra) downgraded the company’s long-term issuer rating to ‘IND A+’ from ‘IND AA-’ and placed it on rating watch negative. In comparison, the S&P BSE Sensex was up 4 per cent during the period. Ind-Ra understands that Vodafone Idea is seeking near-term bridge funding to conserve the cash balances until the proceeds of the rights issue are available. A timely conclusion of the infusion remains critical for servicing debt in July 2019 (Rs 29,000 crore) and October 2019 (Rs 3,100 crore). While the Ind-Ra believes that there is a high probability of Vodafone Idea successfully tying-up additional funds given financially resourceful promoters, timely tie-up of funds as expected without adversely impacting its near-term liquidity is a key rating sensitive factor, the rating agency said in rating rational. RCom too hit a new low of Rs 3.59, down 5 per cent, and locked in the lower circuit for the eight straight trading days on the BSE. A combined 1.75 million changed hands and there were pending sell orders for 33 million shares on the NSE and BSE so far. RCom on March 27, informed the stock exchanges that the promoter’s stake in the company fell to 21.97 per cent after its lenders invoked the shares pledged with them and sold it in the markets. The lenders invoked and sold 431 million or 15.6 per cent of RCom stakes pledged to them, between March 25 and March 27, 2019.